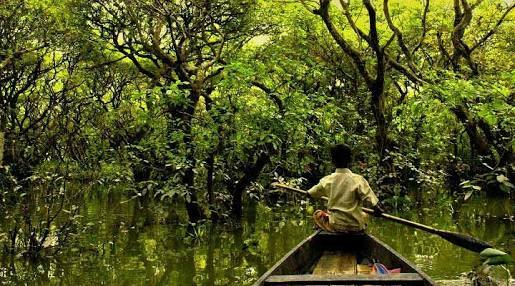 The Sunderban Reserve Forest is likely to be declared a Ramsar Site soon. The West Bengal government gave its approval to the State Forest Department to apply for recognition under the Ramsar Convention. Now, State Forest Department through Central Government will apply to Ramsar Convention Secretariat. The Convention on Wetlands, called the Ramsar Convention, is an inter-governmental treaty that provides the framework for national action and international cooperation for the conservation and wise use of wetlands and their resources. Adopted in 1971 in Ramsar, an Iranian city, the Convention came into force in 1975. Since then, almost 90% of UN member states have acceded to become “Contracting Parties”. Right now there is only one Ramsar site in West Bengal-- East Kolkata Wetlands. Sunderbans was identified as UNESCO World Heritage Site in 1987 for its exclusive biodiversity. Once it is conferred Ramsar site status, Sundarbans Reserve Forest will be largest protected wetland in the country. There are currently 26 sites in India recognised as Ramsar wetland sites of international importance. 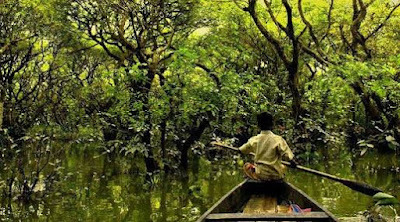 Sunderban Reserve Forest is spread across 4,260 sq. km. with over 2,000 sq. km. of mangrove forests and creeks making it ideal site of wetland. The status wetland of international importance under Ramsar Convention will help in conservation of Sunderban which is facing threat from climate change and rising sea level. Sundarbans is vast contiguous mangrove forest ecosystem in the coastal region of Bay of Bengal spread across India and Bangladesh. It covers approximately 10,000 square kilometres of area of which 60% is in Bangladesh and remaining in India. It comprise almost 43% of the mangrove cover in the country. It is located in delta region of Padma, Meghna and Brahmaputra river basins. It is the largest tidal halophytic mangrove forest in the world. It was recognized as UNESCO World Heritage Site in 1987. Apart from being the world's largest tiger habitat, the mangrove forest in the Sunderbans is remarkable for the protection it provides to people from tidal surge generated by cyclonic depression in the Bay of Bengal. About one-third of the total area is used as protected area for the conservation of biological diversity. Sundarbans forests are known for its self- Royal Bengal Tiger and other numerous species of animals, including Chital Deer, Crocodile and Snakes. Threats such as climate change, sea level rise, widespread construction and clearing of mangrove forests for fisheries is posing a danger to the Sunderbans. Sunderbans is a contiguous ecosystem spread across India and Bangladesh and any adverse move will affect the entire ecosystem.